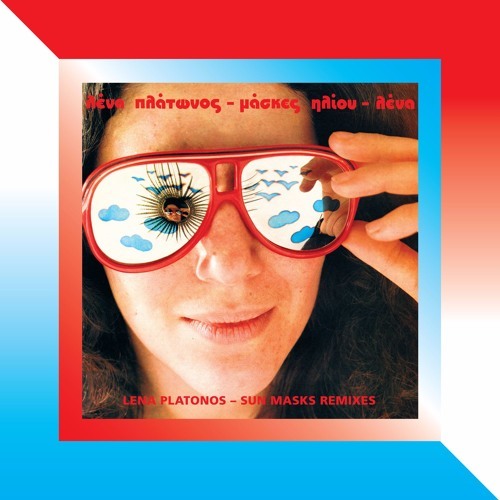 BUY VINYL: http://www.darkentriesrecords.com/store/vinyl/lena-platonos-sun-masks-remixes-ep/ Λένα Πλάτωνος (Lena Platonos) is a Greek musician, pianist and music composer. Her debut solo album, ‘Μάσκες Ηλίου’ (‘Sun Masks’) was produced in 1984 and reissued by Dark Entries in 2016. The album featured experiments with different sounds and a new batch of electronic equipment, such as the Roland TR 808 drum machine and Yamaha C60 synthesizer. Lena narrates each song in deadpan fashion, skillfully reciting her surreal Greek poetry. Her lyrics deal with the futility of love, the gap of human relationships, consumerist alienation in the bourgeois lifestyle of the 1980s. We’ve recruited four of our favorite contemporary producers to remix their favorite tracks from ‘Sun Masks’. First up is “Lego” remixed by triple scorpio supernova Avalon Emerson, who is based in Berlin. Her remix morphs the track into a solid dancefloor twister. Next is “Lego” remixed by Lena Willikens, Cologne based DJ and resident at Salon Des Amateurs in Düsseldorf. She provides a deep and psychedelic journey through the darker shadows of the early night or morning. On the B-side is New Yorker and Firehouse Recordings boss Kim Ann Foxman remixing “Hoping By Shopping”. She transforms the spacey robotic vocoder track into a dynamic deep house workout, tough and dreamy all at once. Closing out the EP is a remix of “Wrong Love” by Berlin via Bucharest producer Borusiade aka Miruna Boruzescu. Enhancing the original melancholic piano ballad to a cosmic processional with poignant bass lines that build and recess like the ocean tides. All songs have been mastered for vinyl by George Horn at Fantasy Studios in Berkeley. The jacket is a reinterpretation of the original ‘Sun Masks’ cover, isolating the photograph of Lena wearing sunglasses designed by Eloise Leigh. Each copy includes a two-sided postcard with a manipulated film still from one of Lena’s music videos.